The beginners' meet on Friday 25th to Sunday 27th of June 2010 was attended by about sixteen people. 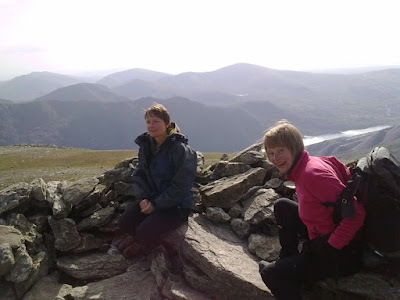 It all started on the Friday evening with the usual beers and planning in the Coledale Inn. 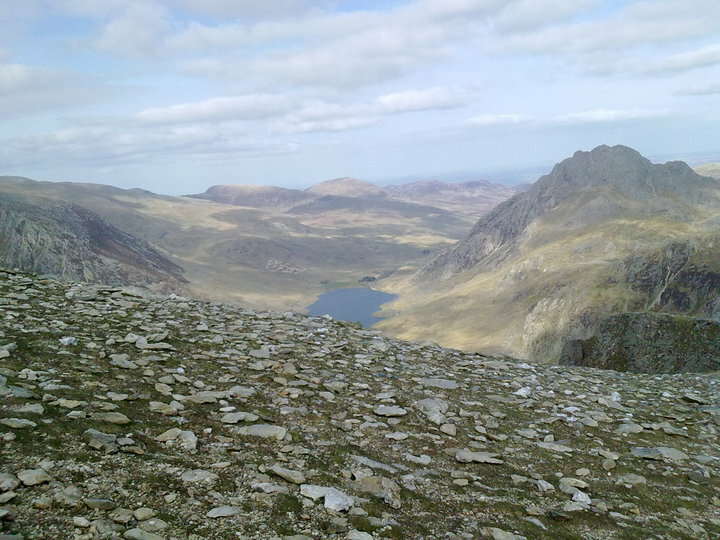 Those too lazy or unprepared to cook their own breakfast were able to avail themselves of the excellent hot sandwiches, freshly baked bread and packed lunches available from the Braithwaite General Store. 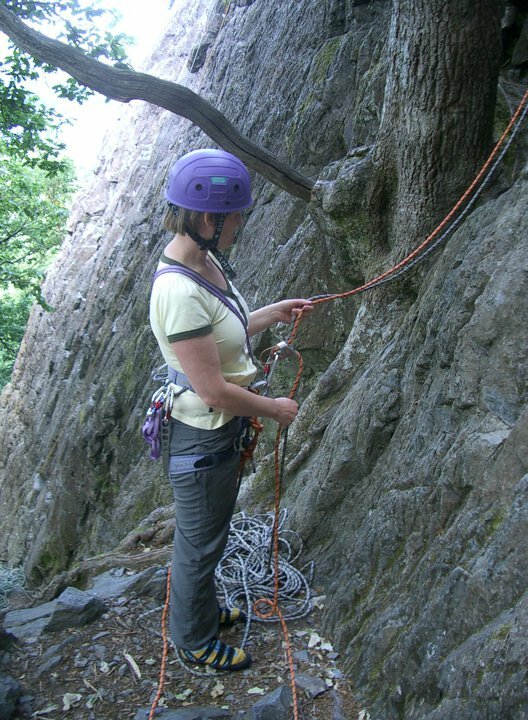 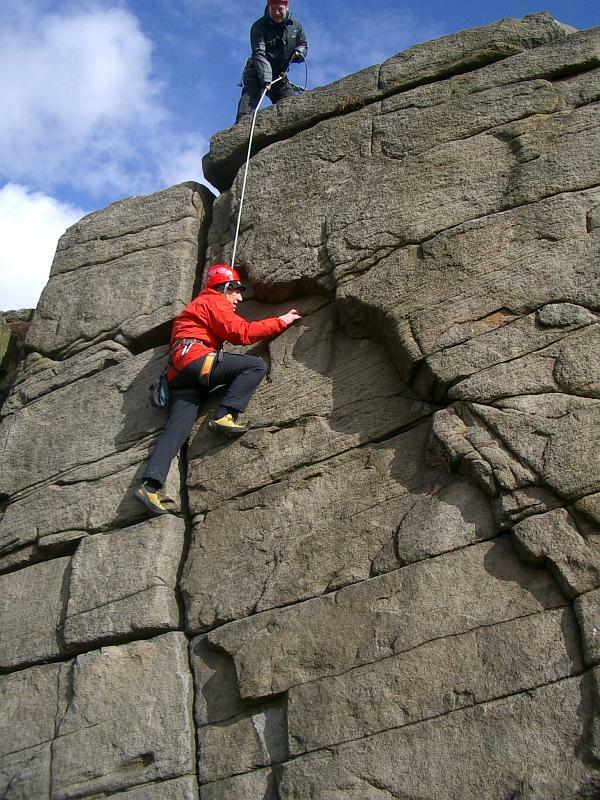 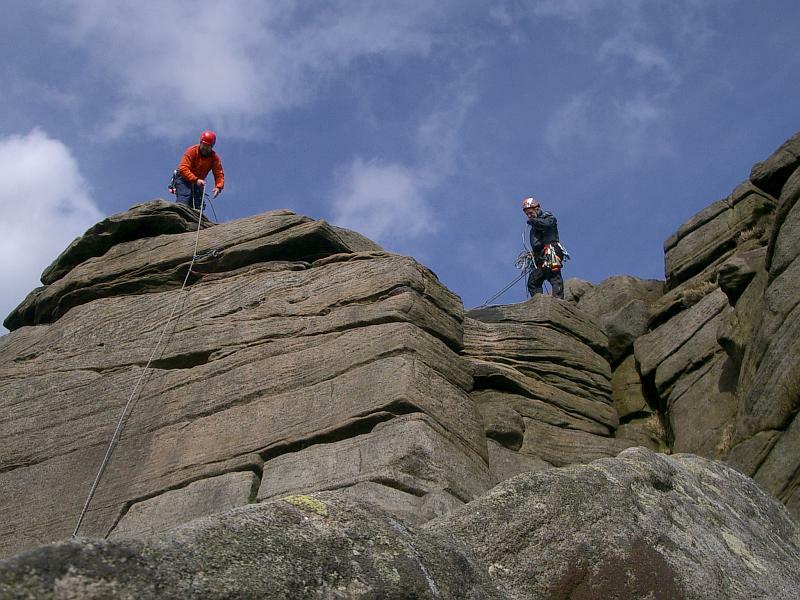 On Saturday, parties visited Gillercombe Buttress, Raven Crag and Glaciated Slab. 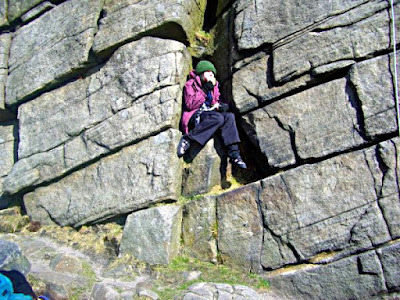 On Sunday most people went to Brown Slabs at Shepherds' Crag. 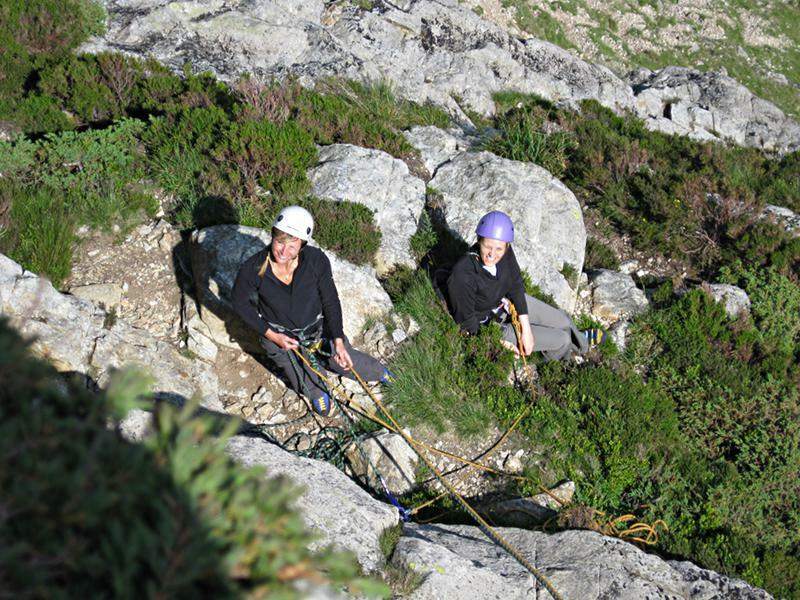 After most people had left early for a variety of reasons, some not entirely unassociated with the football, those remaing were able to make a leisurely ascent of Little Chamonix on a rare crowd-free evening. The new hut near Keswick is now completed and has good kitchen facilities, a wood burning fire, comfortable single bunk sleeping accommodation. 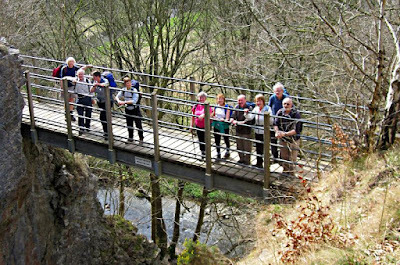 Hut fees £5 per member, £8 per guest, Children of members £2 per person per night. 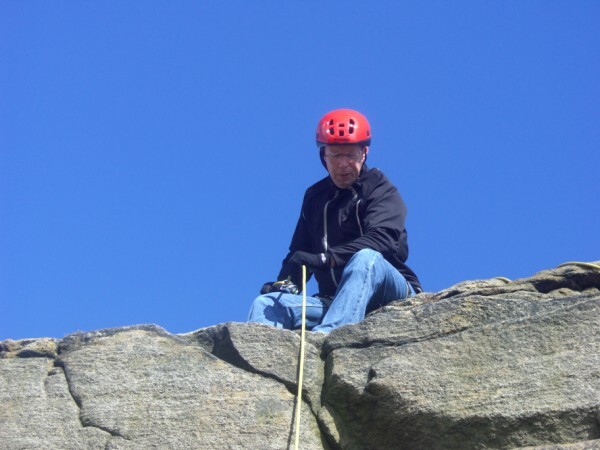 The hut Warden is Chris Ward Email: chrissieoliver@btinternet.com. 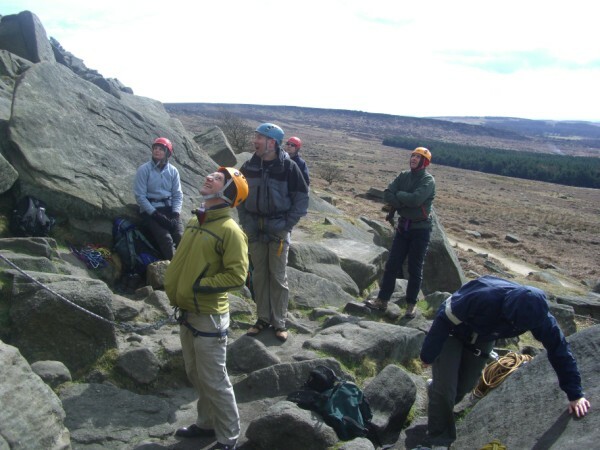 The hut is available for use by members at any time though persons who have pre-booked accommodation with the hut warden have priority of bunks. Persons may on reasonable notice reserve the whole hut space for the exclusive use of their party. 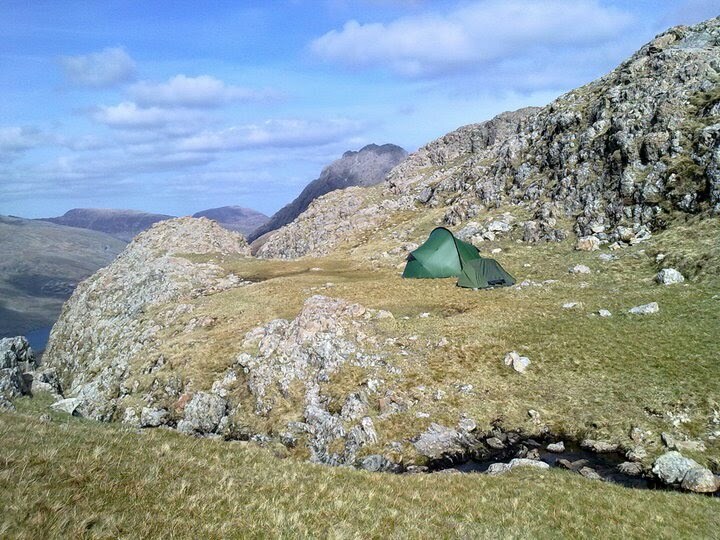 A minimum fee of £50 per weekend or part of a weekend must be paid for this service. 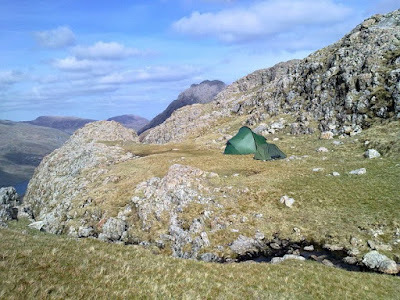 Members are then Emailed asking them to avoid using the hut on exclusively booked periods. 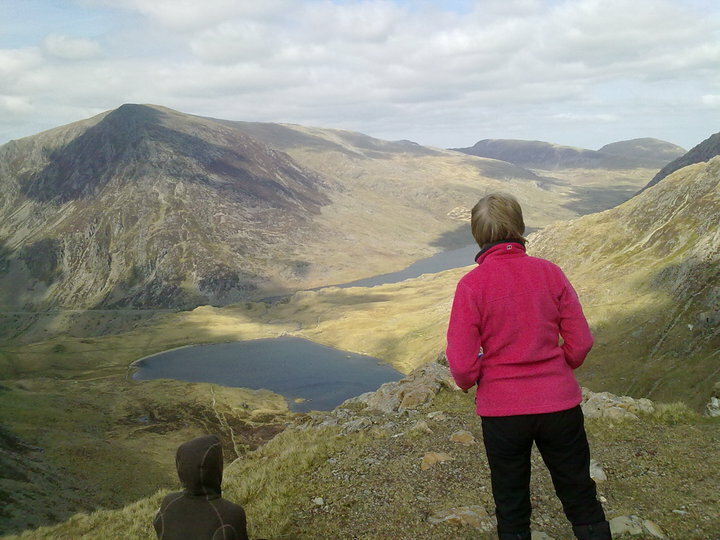 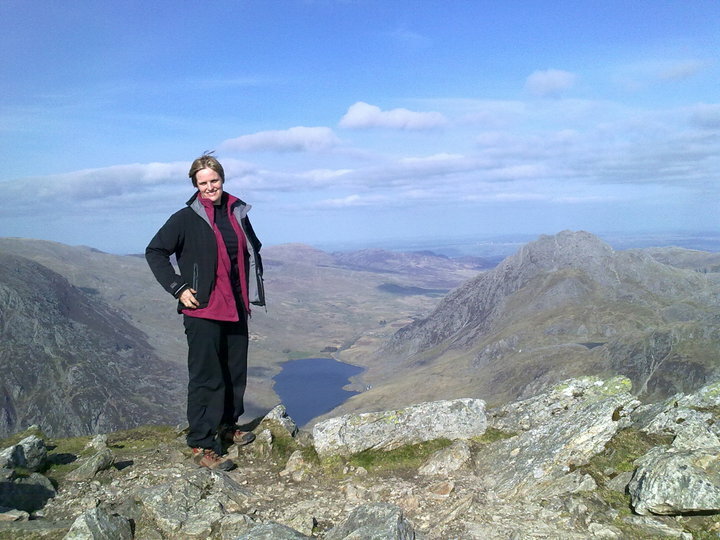 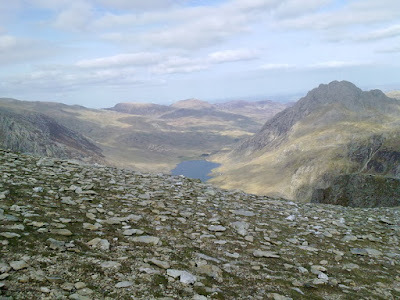 Camping Meet Ogwen will take place 26-28 June 2015. Meet leader Helder Machado. 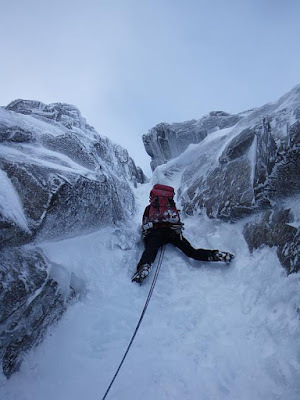 Video by Graham of Mark and Andy climbing Green Monster E4 6a. 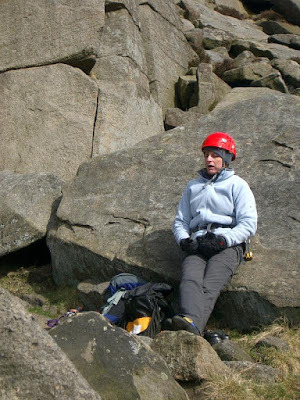 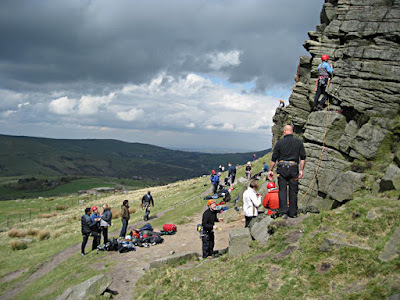 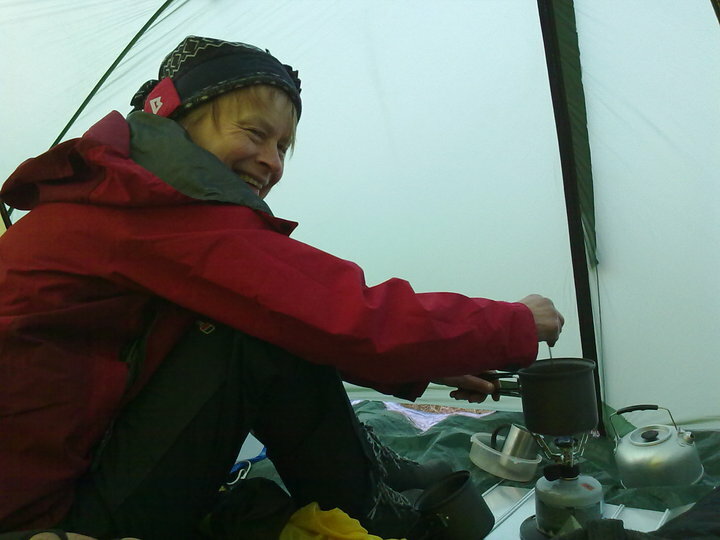 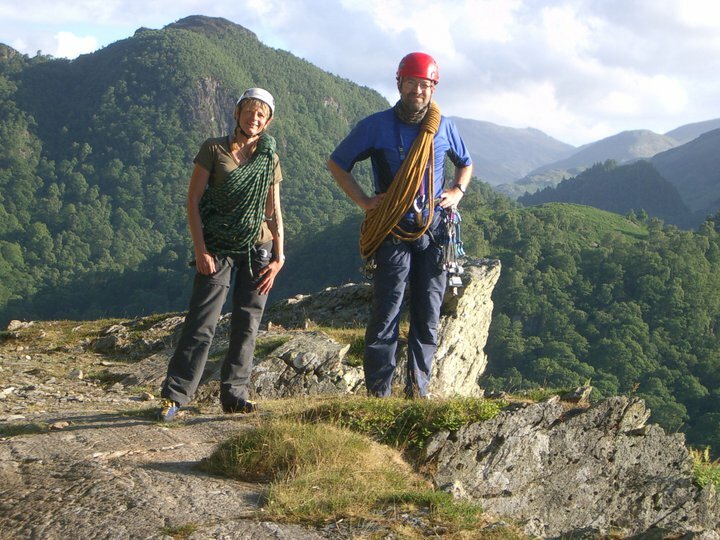 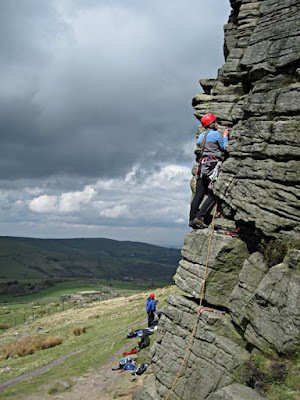 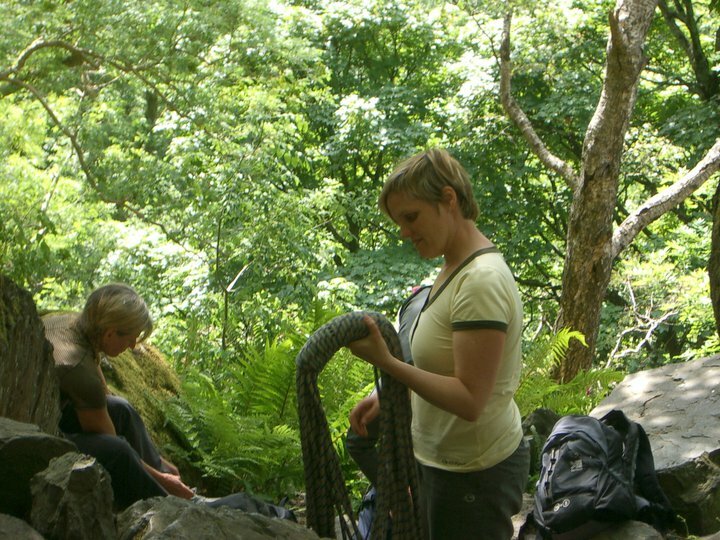 The Joint Merseyside Clubs Meet brings the St. Helens Mountaineering Club, the Wayfarers' Club and the Merseyside Mountaineering Club for a weekend in Langdale each year on the second weekend of June. 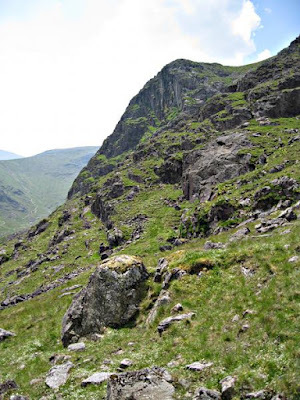 Accommodation is at the Wayfarers' Hut (called Robertson Lamb Hut RLH) situated just half a mile from the New Dungeon Ghyll/Stickle Barn Hotels. Each Club is allowed 8 to 10 places. 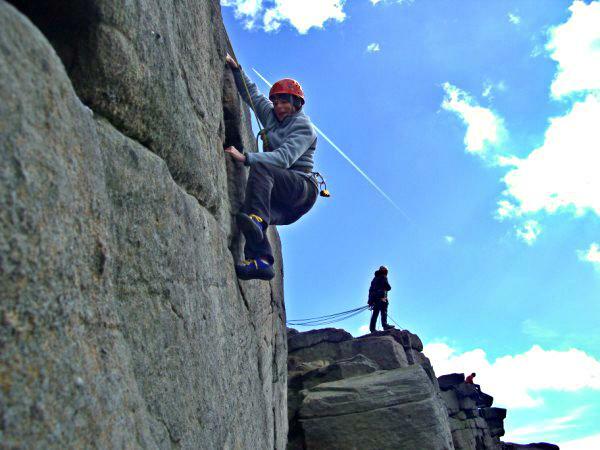 There are 30 bunks and since reciprocal rights rules apply for this weekend the price is just £5 per night. A Saturday evening dinner (usually 3 courses) will be provided this year by one of the Clubs normally at a cost of £6 per head. 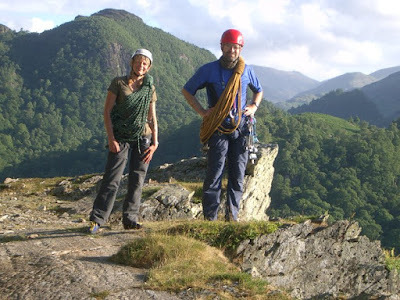 Anyone who has been to the RLH Hut will know that it is ideally situated for the Langdale hills and crags. The large kitchen has ample cooking facilities and the very large lounge is comforted by an open coal fire. 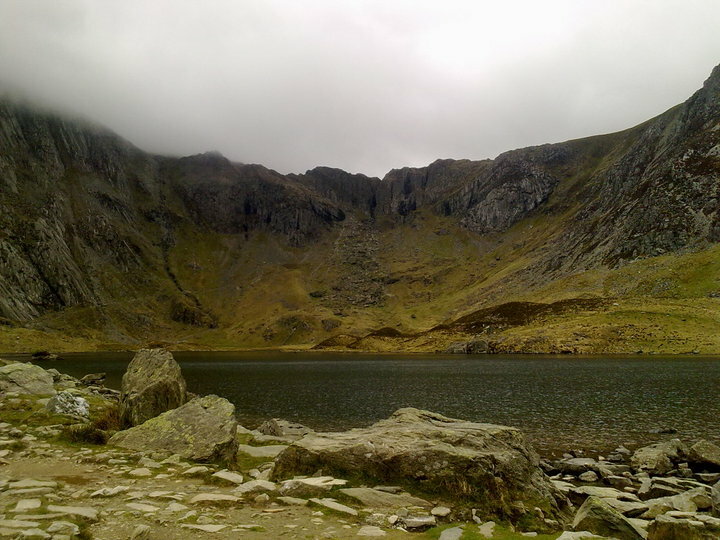 There are two showers and three toilets. 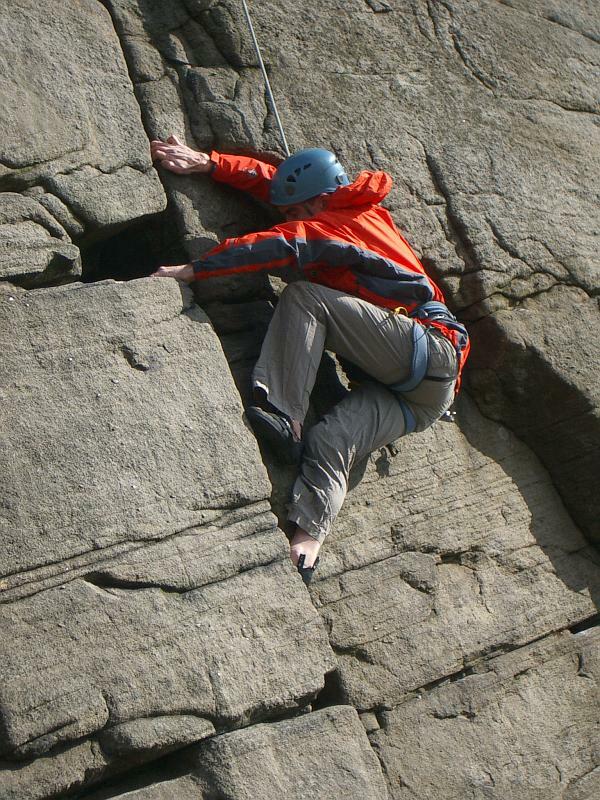 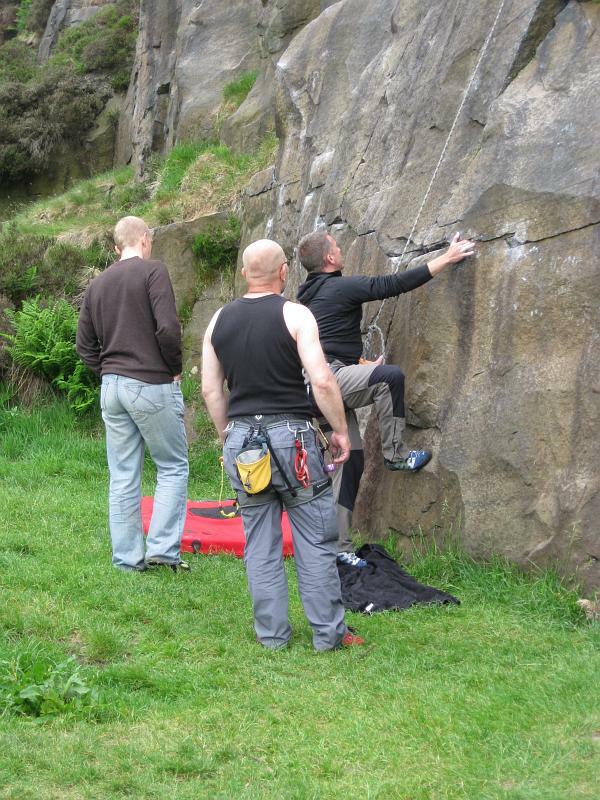 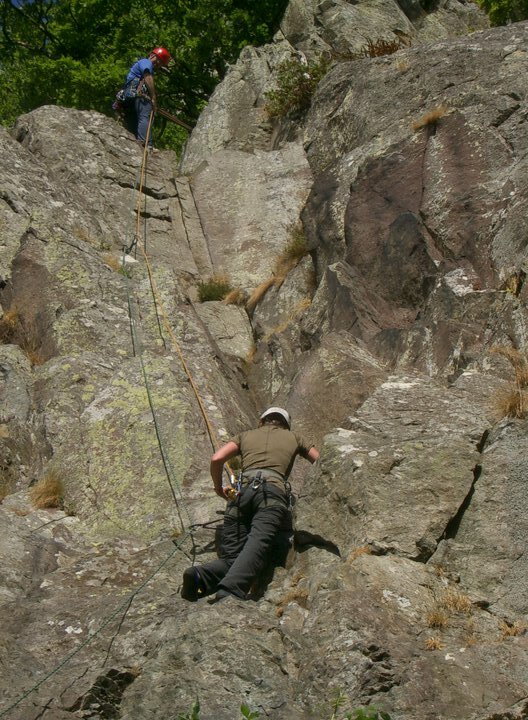 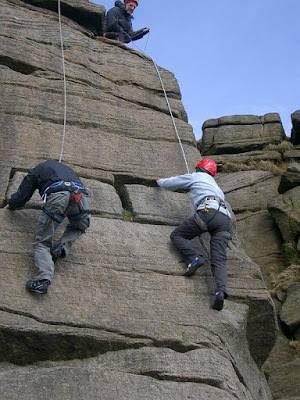 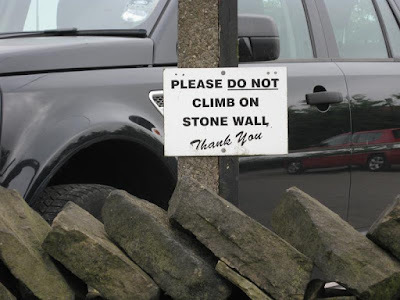 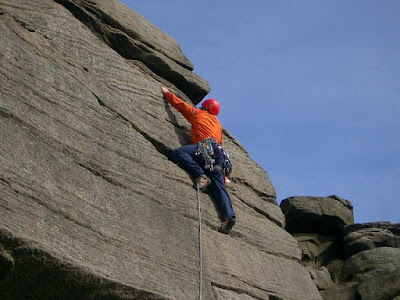 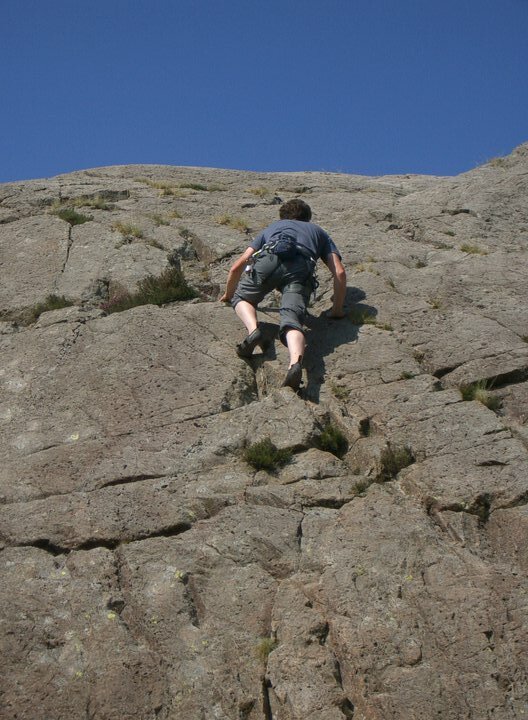 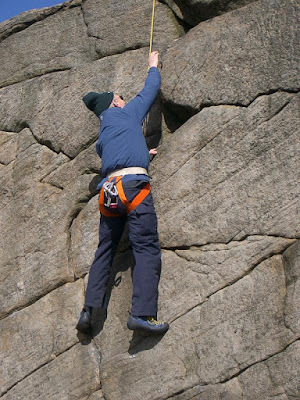 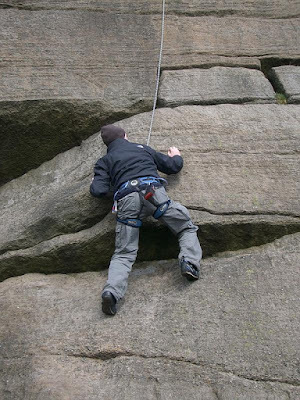 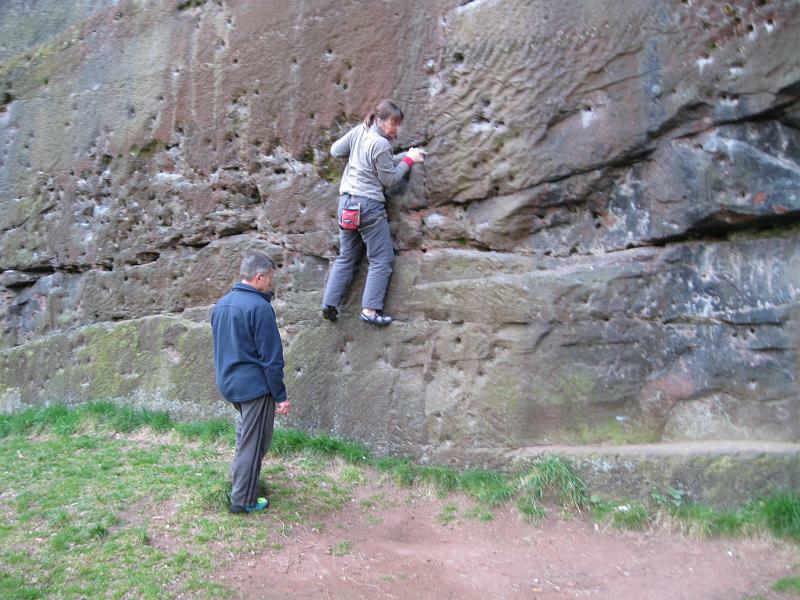 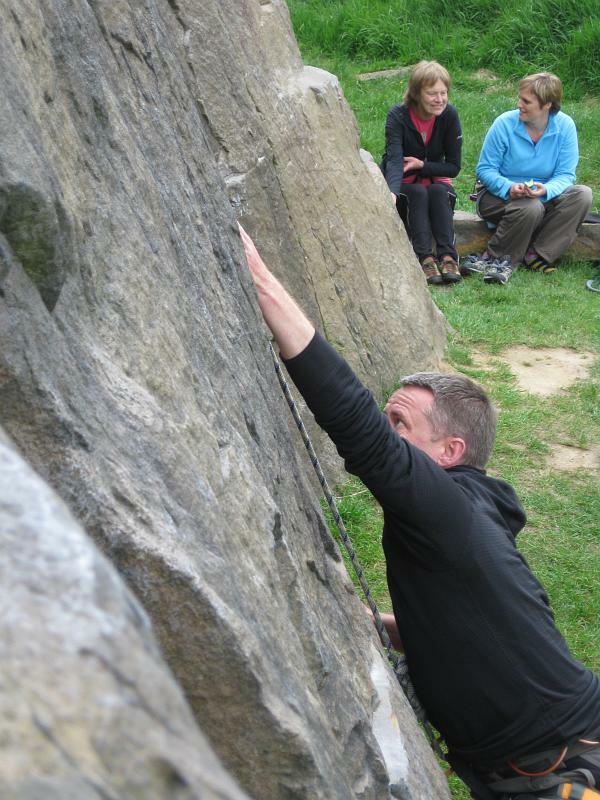 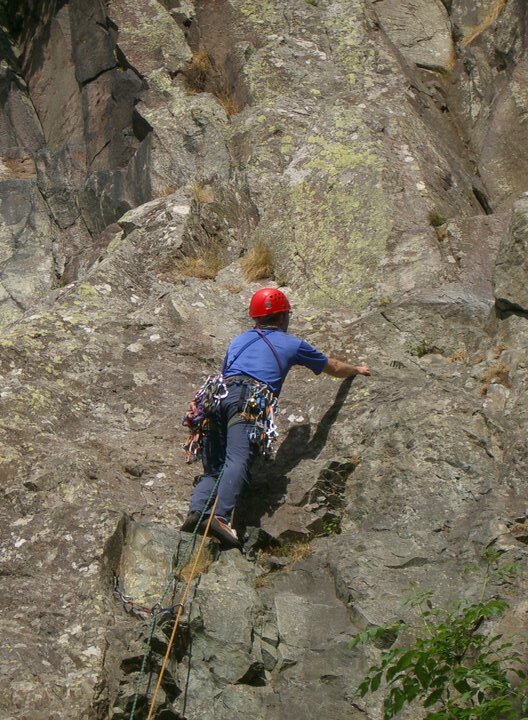 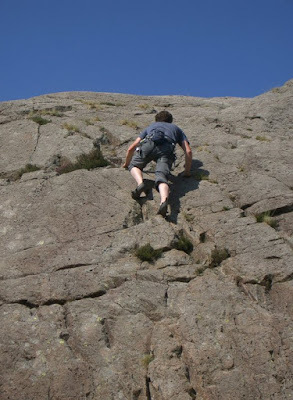 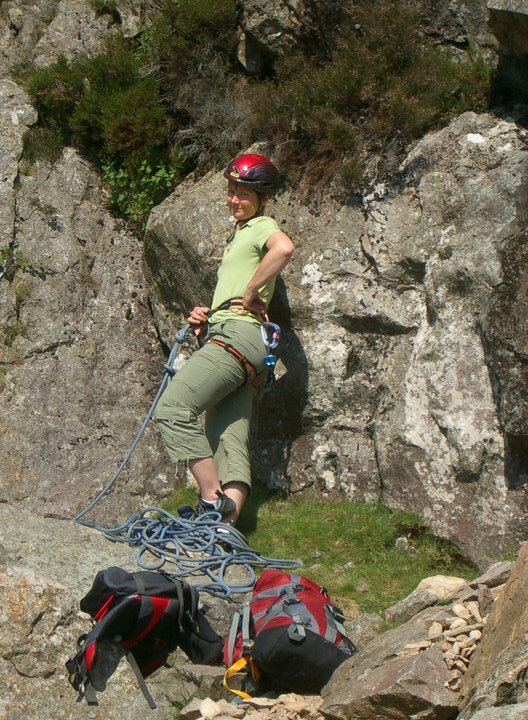 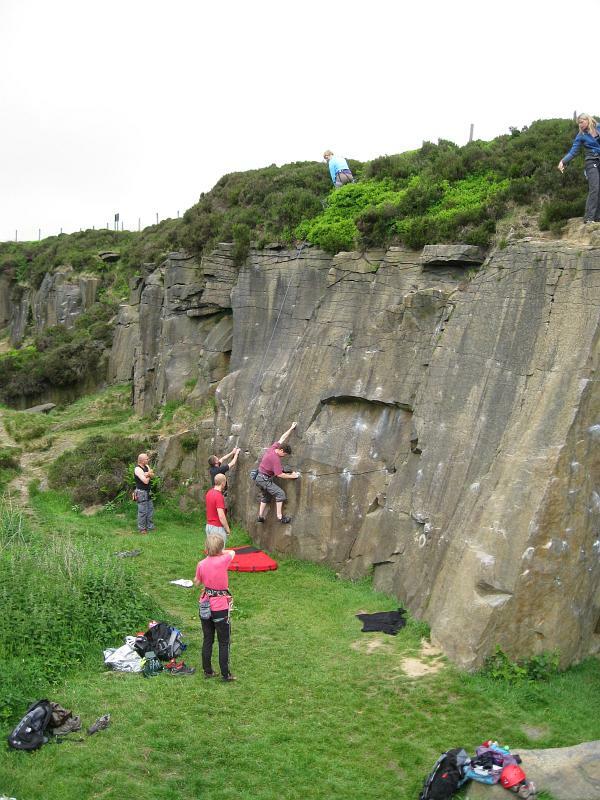 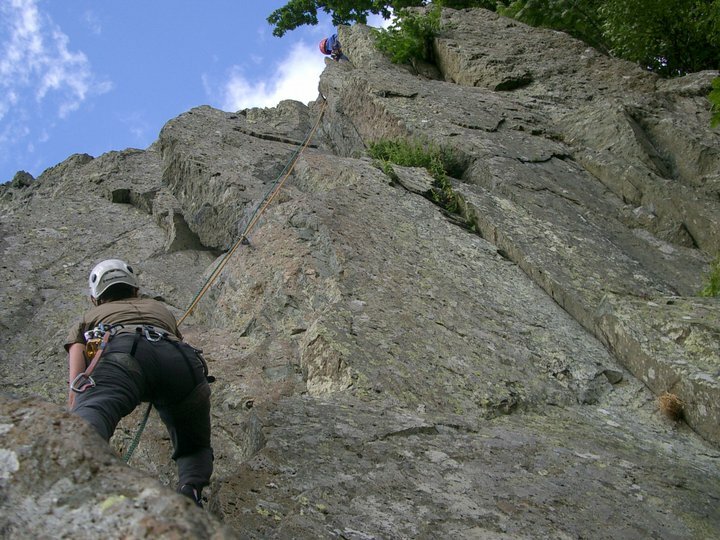 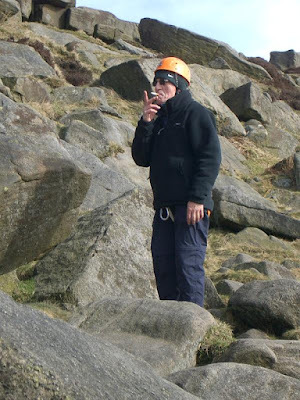 This meet is normally predominantly rock-climbing but walkers are also welcome. All enquiries to the meet coordinator, Ken Fyles. The beginners' meet was attended by about eighteen people. A variety of routes from Diff. 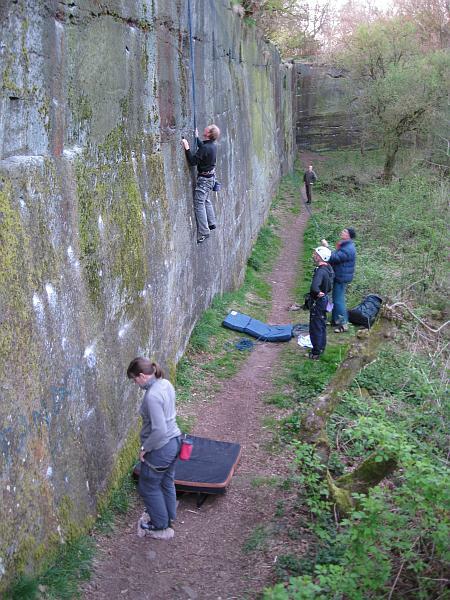 to VS were climbed in a variety of styles. As is usual at Windgather, although the climbing itself is very pleasant, belays at the top always require some ingenuity. 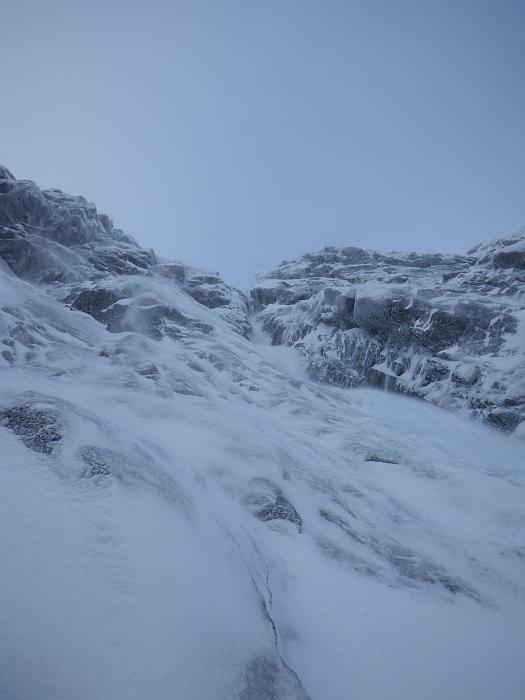 The weather definitely favoured those keen enough to be up early. Although it was warm and bright for much of the morning, the clouds looked increasingly menacing and eventually, a little after 2pm, it started raining. 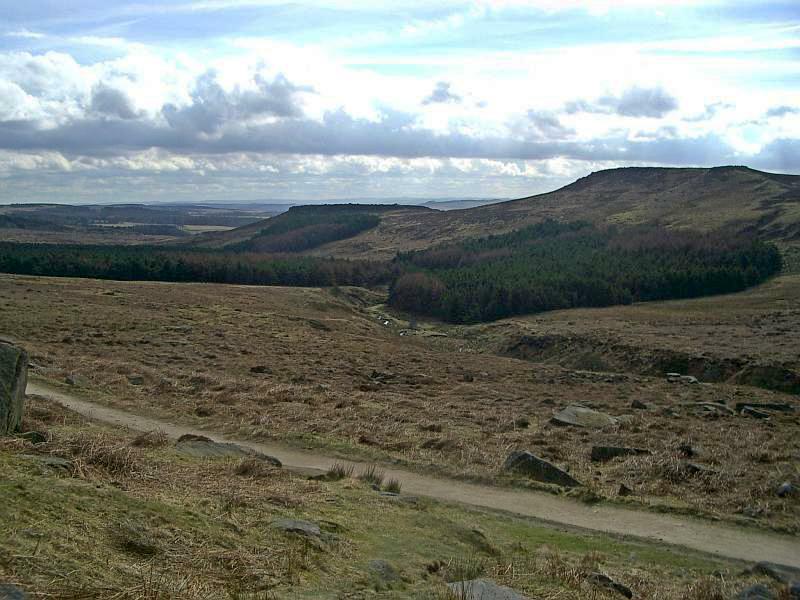 A swift retreat to the cars resulted in a rendezvous at the Bull's Head in Kettleshume before the journey home. 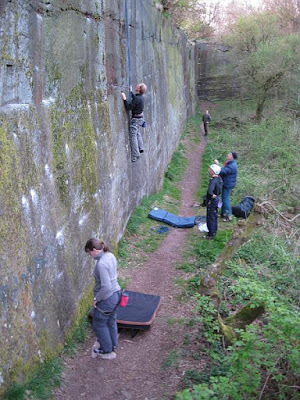 The evening climbing meet at Pex Hill was well attended with just over a dozen people turning up for both bouldering and top-roped climbing. Despite the rain in the night and early on Monday morning, conditions were dry and it stayed light well into the evening. 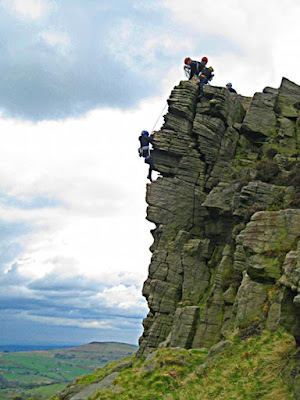 Eleven people turned up for a rather unusal ramble in the Clwydians - it took no summits but meandered along lonely tracks you would never have thought existed. Weather was perfect for walking and the views across the valleys were magnificent in the spring sunshine. 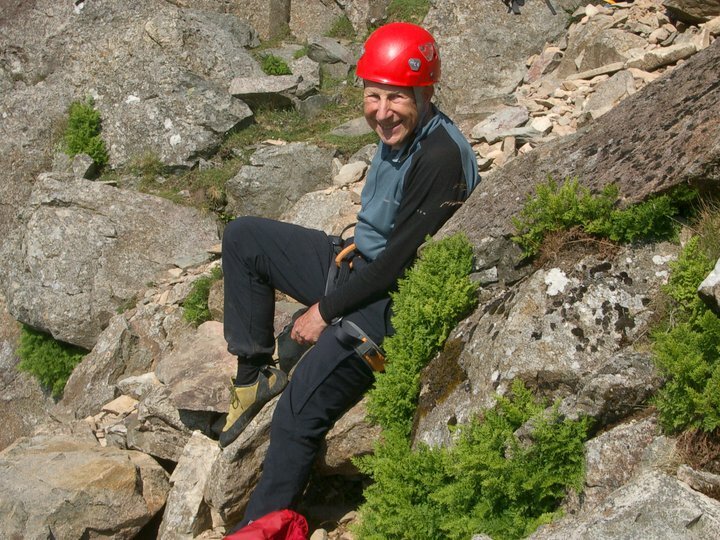 Roger Sager, a native of Ruthin was the guide. 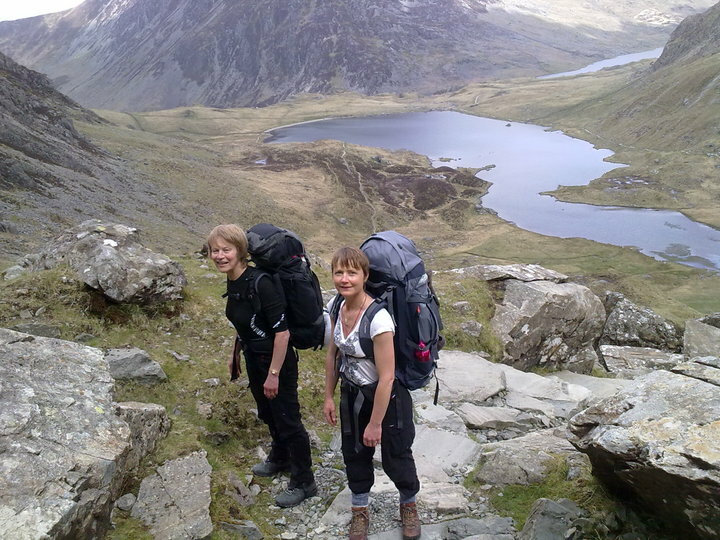 Anne and Alison fell in love with two new born lambs with mother keeping a watchful eye. The second photo was taken along the Leet path which goes to Loggerheads. This is an old mining trail which helped to drain many of the mines in this area. The photo is on a bridge spanning the entrance to one of the mines about 60ft below. 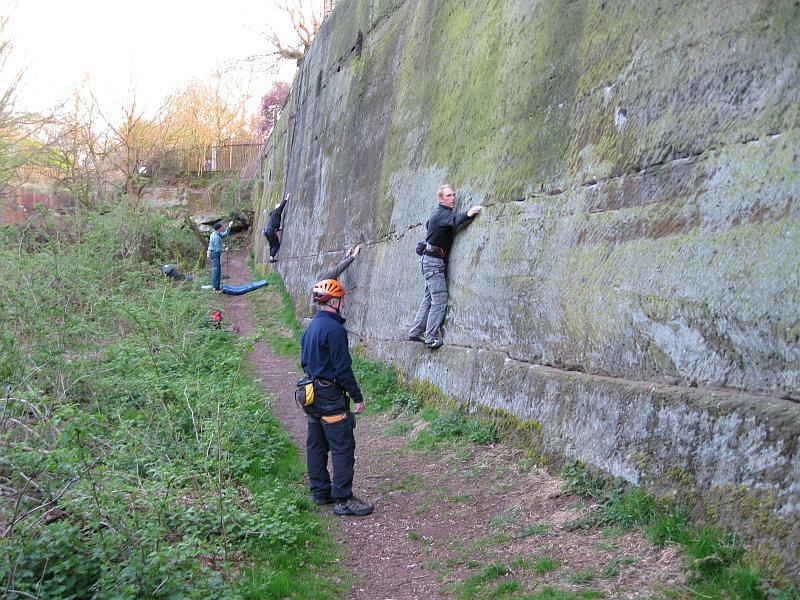 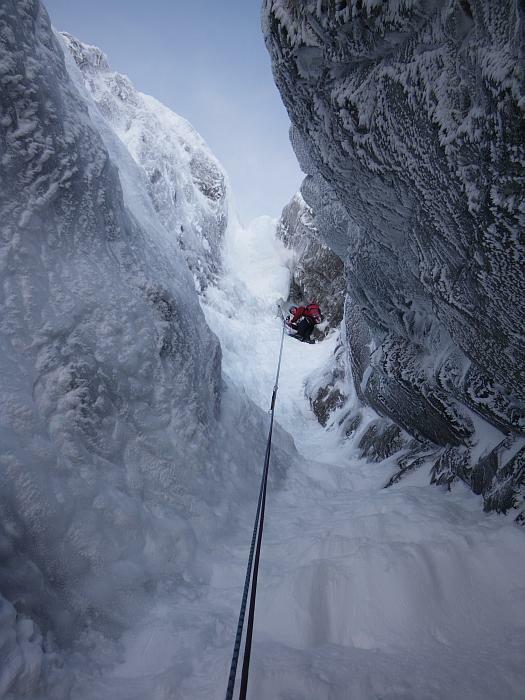 Of interest to the climbers, the steep wall on the left of the photo has bolted routes whilst the right wall has steep slabs which look as though they give nice, not all that easy, climbing. 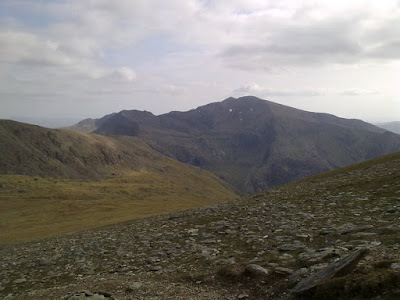 Lunch was at the pub "We Three Loggerheads".